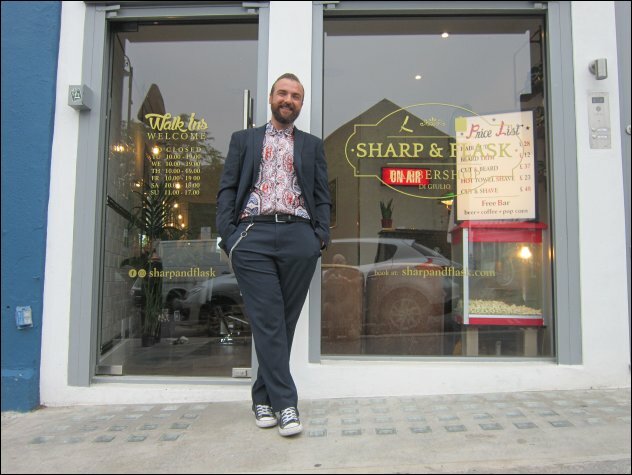 You might have noticed Danny Di Giulio’s smart new barbershop, Sharp and Flask, that’s recently appeared on Golborne Road. It’s up at number just by the railway bridge in the more-or-less derelict site that was redeveloped last year. 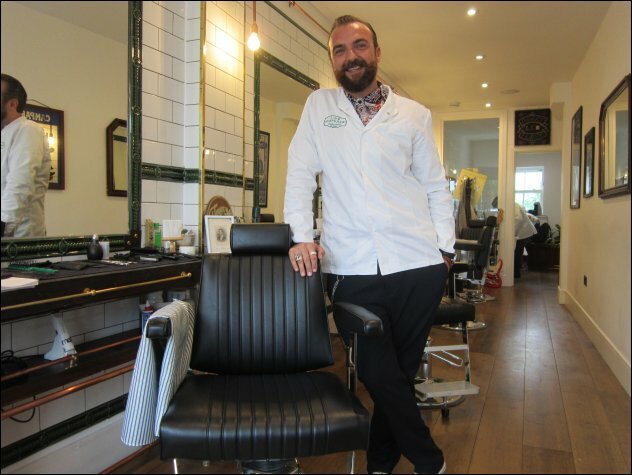 Danny has lived on Golborne Road for the last 13 years since he arrived here from Naples and “never quite made it back.” Previously, he’s worked at a variety of hairdressers and barbers and most recently he was manager at the recently closed Base Cuts on Portobello Road. Danny says he’s very happy to have made the move from Portobello to Golborne. “It’s much more real – Portobello rends to be dominated by tourists,” he says. And on Golborne, I’ve actually had other business coming into the shop to welcome me. Danny invites Golborne life to sample the luxury of an old-school wet shave. This involves lots of hot towels, perhaps the smoothest shave available anywhere in London and an experience so relaxing it’s almost hypnotic. Highly recommended. And where did the name Sharp & Flak come from? Danny explains. “My father always had a comb in the left-hand breast pocket so that he would always look ‘sharp’. In the right-hand pocket he carried a ‘flask’ so he could have a quick drink. So the name is a kind of homage to my father.